The co-leads of BALTA’s Scaling Innovation for Sustainability Project at a meeting in Victoria. 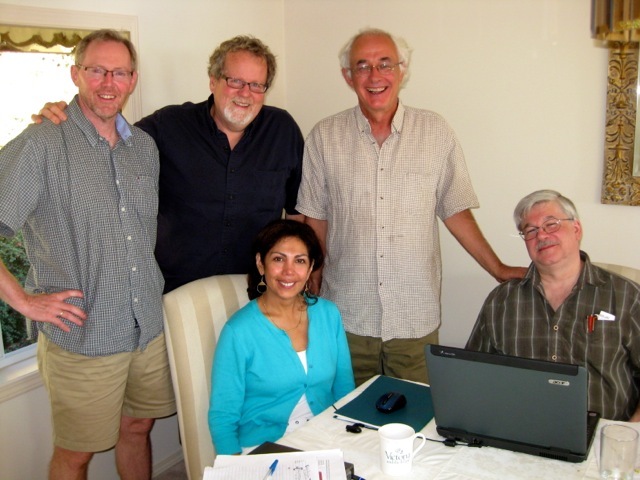 From left: Noel Keough, Mike Gismondi, Ana Maria Peredo, Mike Lewis, Stuart Wulff (staff). Photo credit: Murdith McLean. The co-leads of BALTA’s Scaling Innovation for Sustainability Project have been meeting frequently since August to plan the basic framework, implementation plan and communications for the development phase of the project. The work has included a three day meeting in Victoria and several conference calls. The results of this work will soon be shared with the full BALTA partnership for discussion and approval.